We develop and apply novel computer methods to analyse large collections of data about biological systems, DNA, RNA and Proteins. Our methods improve understanding of the link between genetics and disease in human and other species. Geoff’s longest running research interest is the study of the relationship between a protein’s sequence, its structure and function by computational methods. His work exploits large publicly available datasets to identify novel properties and to develop effective prediction methods. His group have contributed many tools and techniques in the area of protein sequence and structure analysis and structure prediction. 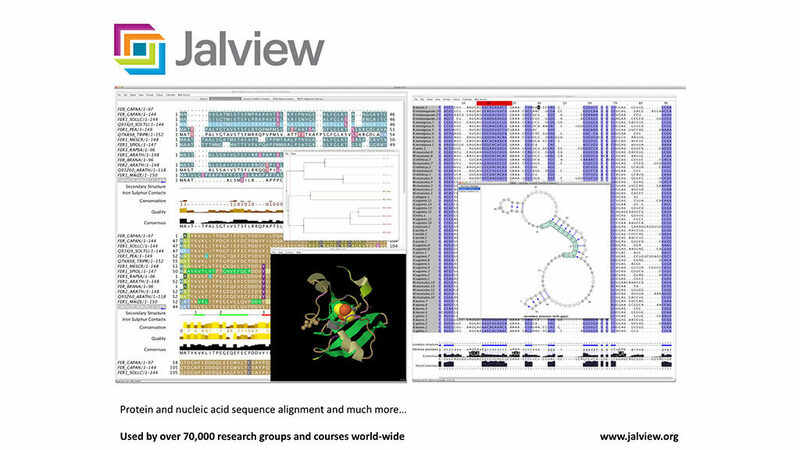 Two of the best known are the Jalview (www.jalview.org) multiple alignment visualisation and analysis workbench which is in use by over 70,000 groups for research and teaching, and the JPred (www.compbio.dundee.ac.uk/jpred) multi-Neural Net protein secondary structure prediction algorithm that performs predictions on up to 250,000 proteins/month for users worldwide.In addition to his work on protein sequence and structure, Geoff has collaborated on many projects that probe biological processes by proteomics and high-throughput sequencing. He has a long-running collaboration with Prof Gordon Simpson that seeks to understand the control of mRNA termination and methylation. Geoff’s group has deep expertise in RNA-seq methods and has recently published a two-condition 48 replicate RNA-seq study that is now a key reference work for users of this technology.